Franklin was born on July 25, 1920, to a Jewish family in London, England. She attended one of the few primary schools in London that offered physics and chemistry to girls, and by age 15, she had decided to pursue a career in science. In 1941, she graduated from Cambridge University with a degree in chemistry. In the late 1940s, Franklin became proficient at the X­ray diffraction technique, a method that scientists had begun to use to determine the structures of large molecules. 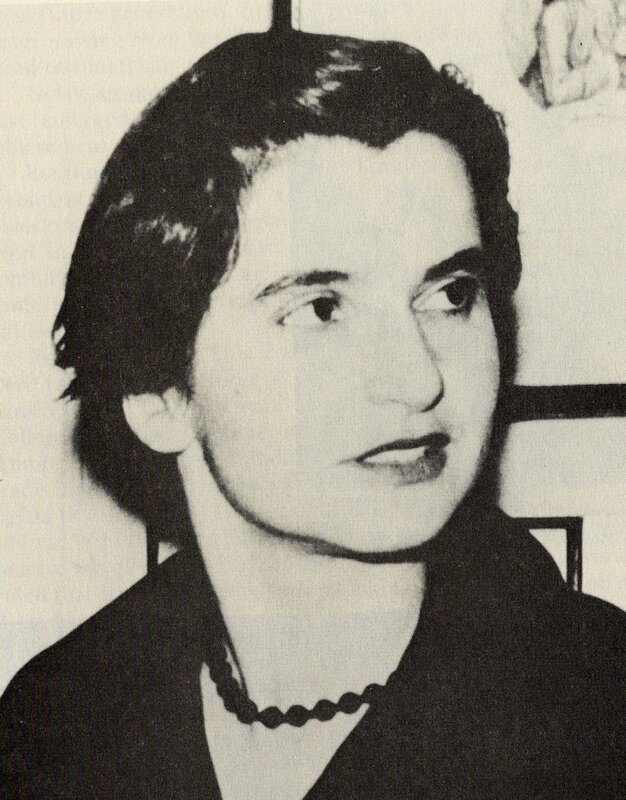 In 1951, Franklin took a position at King’s College, London, where she was assigned to use her X­ray diffraction expertise to help reveal the structure of DNA. Franklin made quick progress, producing numerous X­ray diffraction images of the A and B forms of DNA. She concentrated on the A form, which appeared to give the most decipherable images, but which unfortunately exhibits the double­helical structure less clearly than does the B form. Meanwhile, at Cambridge University, JAMES WATSON and FRANCIS CRICK were working on the same problem; however, they were focusing on the technique of molecular­model building. In 1953, Maurice Wilkins, one of Franklin’s co­workers, showed Franklin’s X­ray diffraction images to Watson and Crick, without Franklin’s permission or knowledge. In those images, Watson and Crick found the final bit of evidence they needed to claim confidently that DNA consisted of a two­stranded helix. In April 1953, Watson and Crick published their theory and became famous as the discoverers of DNA’s structure. In 1954, Franklin joined a laboratory at Birbeck College in London where she worked on the structures of several viruses. In 1956, she was diagnosed with cancer. This news did not curb her research, but she died at the age of 37 in London on April 16, 1958. Franklin was a pioneer in the use of X­ray diffraction, and her work was crucial to one of the most significant discoveries of the twentieth century, the structure of DNA. Watson and Crick’s model of DNA unleashed a flurry of enthusiasm among molecular biologists and laid the groundwork for modern molecular genetics. Their model proposed that the DNA molecule consists of two polynucleotide strands held together by hydrogen bonds between complementary bases: adenine and thymine; cytosine and guanine. This model offered a satisfying explanation of how the DNA molecule replicates. One strand of the helix acts as a template, then a new strand of DNA is synthesized as the four bases bind to their complements on the original strand. The new model also suggested a possible mechanism for the production of proteins. As was shown in the 1960s, the sequence of bases in a DNA molecule acts as a code that dictates the order of amino acids in protein molecules. Many science historians believe that Franklin’s legacy also includes her success as a woman scientist. They claim she remained a devoted researcher—a model for other women scientists—despite working among men who were reluctant to accept her as their equal. The first publicly available suggestion of this reluctance appeared within the pages of The Double Helix, Watson’s autobiographical account of his and Crick’s discovery, published in 1968. The book paints an unflattering portrait of Franklin that has been declared by Franklin’s biographers to be inaccurate, cruel, and the product of sexism. In 1962, Watson, Crick, and Wilkins received the Nobel Prize for Physiology or Medicine for the discovery of DNA’s structure. Nobel Prizes are not awarded posthumously, so it will never be known whether Franklin would have shared this honor had she been alive. Franklin’s role in the determination of the structure of DNA has only recently been widely recognized. Posted on March 7, 2015 by Natalie. This entry was posted in Scientists. Bookmark the permalink.